Real estate investments are investments in your future and having the best rental property management services company in Burbank is the key to your success. Due to the size of the buildings involved and the financial logistics that come with owning these kinds of property, it is fundamental to find a competent rental management company to help you manage your rental property(s). Several rental management companies in Burbank offer residential and commercial management services, by choosing our firm you are guaranteed our expertise and experience in keeping your property rented as well as well-maintained. Choosing our expertise also means you start with a rental analysis for your property that will give you a foundation of knowledge when it comes to a market analysis of your area. Here are some tips for finding the best apartment rental management company. Always find out how many properties a rental management company has in its portfolio before selecting them. This figure gives you a clear picture of the kind of property this company deals with. It also helps you determine whether you can trust that company with the task of managing your property. Businesses that manage several units successfully are your best option as that proves to you that their services are excellent. Lastly, the number of units managed determines the number of units you can give this company to manage without overwhelming them. Rental Management Companies – Do They Own Property? 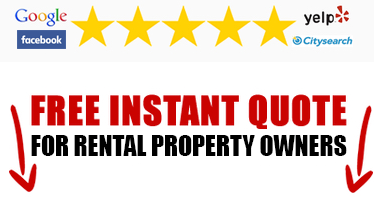 For most people, finding a rental management company that owns property might seem to be a perfect thing. Well, it might be a good thing, but it is advisable to find one that does not own property. Rental property companies are always competing to get tenants and what guarantees you that the firm in question will ensure their property is filled up first before shifting their focus to yours. A rental management company that does not own property is your best bet as they will allocate tenants fairly among the available units and not try to coerce them to take up their units first. Apartment Property Management – Do They Inspect The Property? A good way of managing rental property is by regularly inspecting the units and checking their physical condition. Find a rental management company that will send people to check out your property from time to time and give reports on their status. It is normal for you to find companies that will ask you to pay extra for this service. Rental Property Management Companies that manage your property from a high-end office are not the best option, and you should focus on companies that have real world experience. Proper management entails making physical checks to have an accurate picture of the condition of the units that are being managed and avoiding the additive nature of compounding maintenance expenses. Burbank Rental Property Management – What Are The Terms Being Offered? An agreement between a property owner and the company managing the rental estate specifies several terms regarding the payment and maintenance issues among others. Be diligent in understanding the terms of your agreement and make sure that you have trust and confidence in the rental property manager and management company that you choose. Maintenance is a crucial aspect of any rental property, and the terms dictating how it will be conducted should be explicitly stated. In a nutshell, try and find a company that offers favorable terms that will ensure your property is well taken care of. 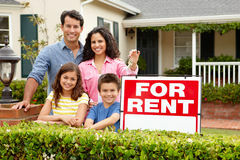 For the best rental property management services in Burbank, call us today at 818-330-1269.